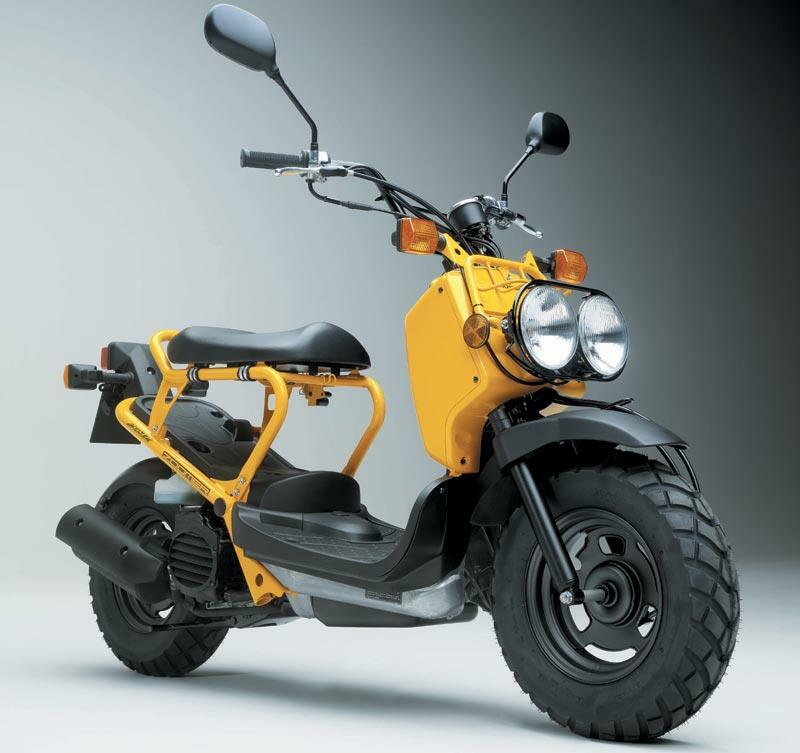 Honda’s chunky little 50cc Zoomer is a weird cross between a twist-and-go scooter, a Tonka toy and a stripped-bare army Jeep. It’s easy to ride, nippy and stylish. Honda claim low emissions, it has lots of bungee hooks and there’s lots of storage space, thanks to the skeleton frame and lack of bodywork. They arrived in the UK in 2005, but were first produced in 2003 for the US and Japanese Market. 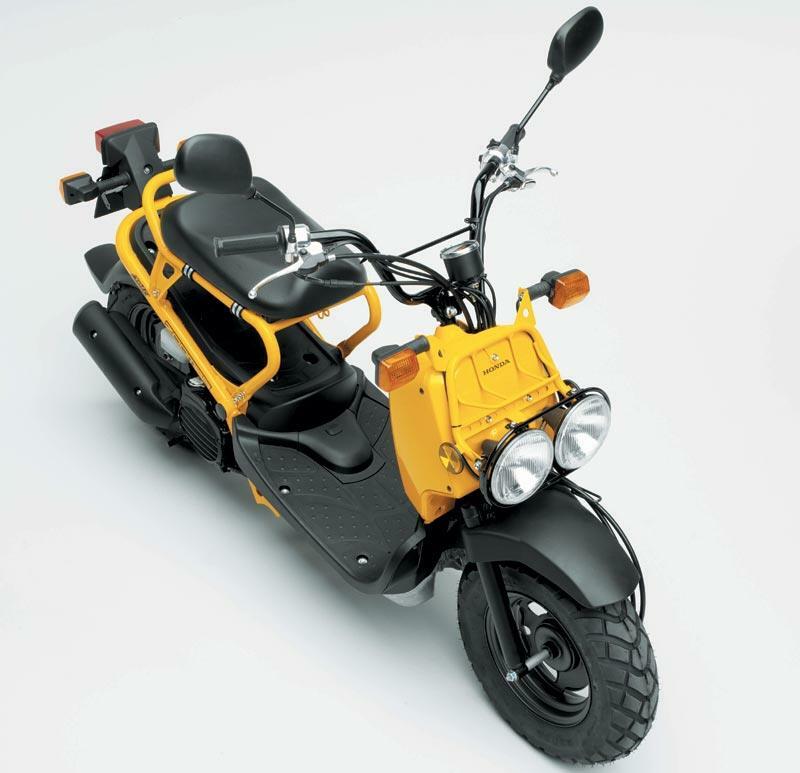 It’s called the Honda Ruckas in America. It’s not a big seller in the UK, most Zoomers are used in race paddocks or strapped to the side of cool surf dudes’ motorhomes. 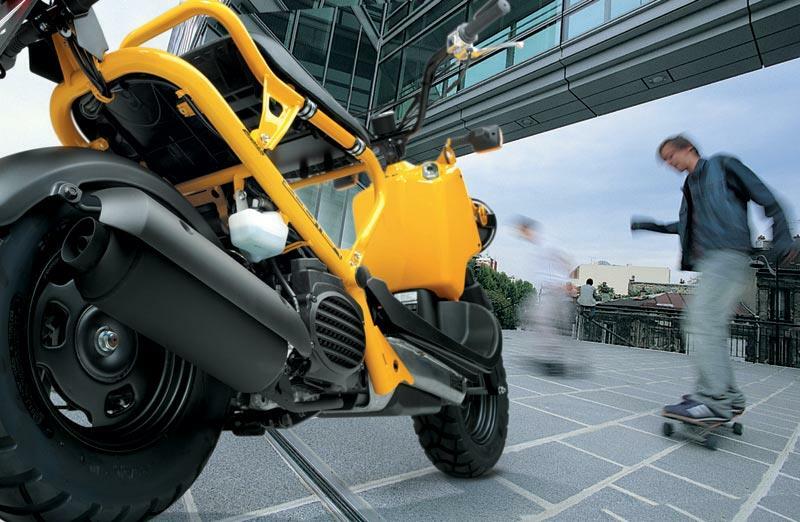 For zipping around town, or in race paddocks, the Zoomer handles perfectly well. It’s comfy too, thanks to a big padded seat, low 735mm seat and big floorboards to rest your feet on. With no pillion seat, there’s only room for one. 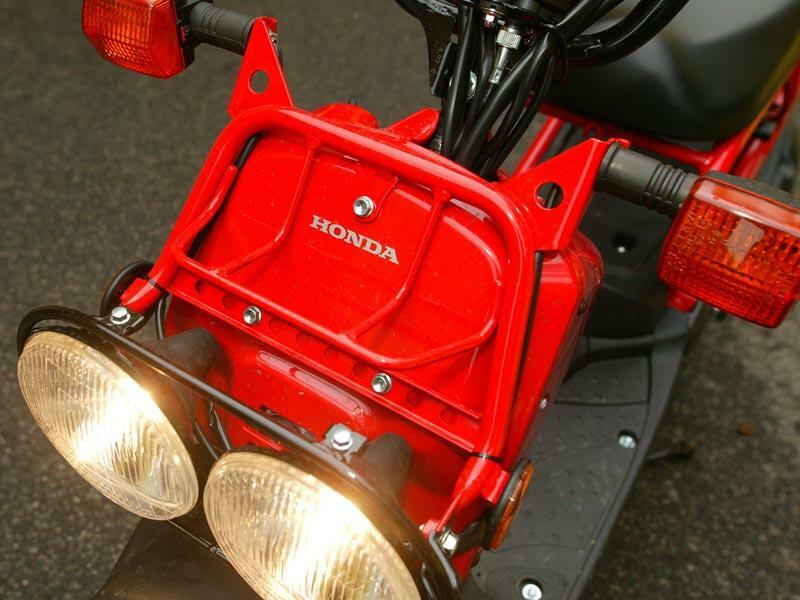 The Zoomer has the distinction of having the smallest fuel injection system Honda makes! 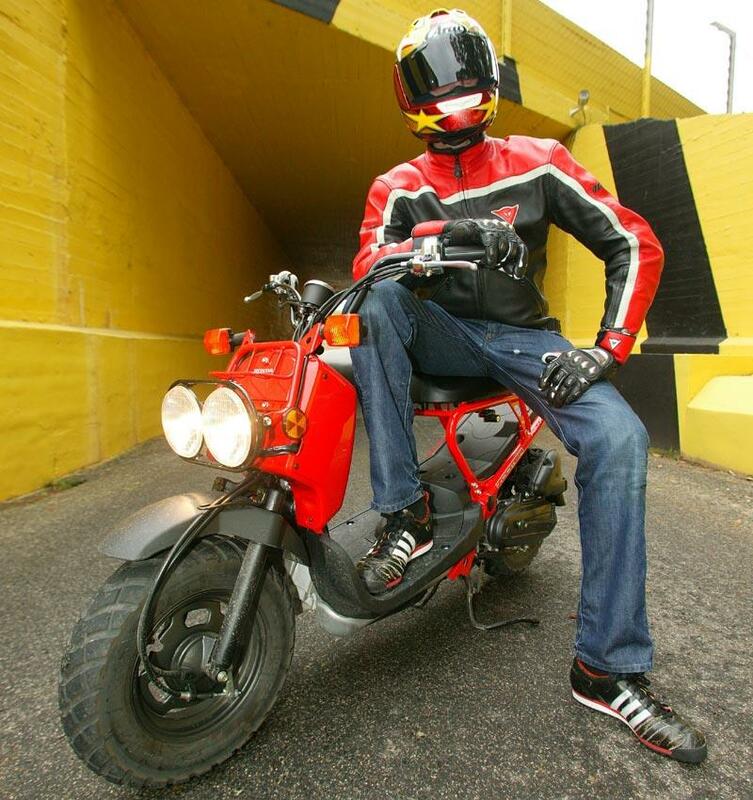 It feeds a 4bhp, liquid-cooled, single-cylinder, four-stroke, 4V, SOHC, 50cc engine, and has a Honda V-Matic gearbox. It has an electric start with a kick-start back-up. Build quality and durability is right up there, as you’d expect from a Honda. 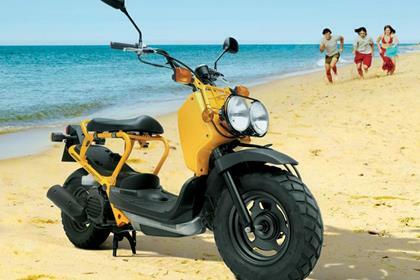 As funky as it is, the Zoomer doesn’t do anything a much cheaper moped can’t do, so you’re paying a lot of money for looks and style alone. 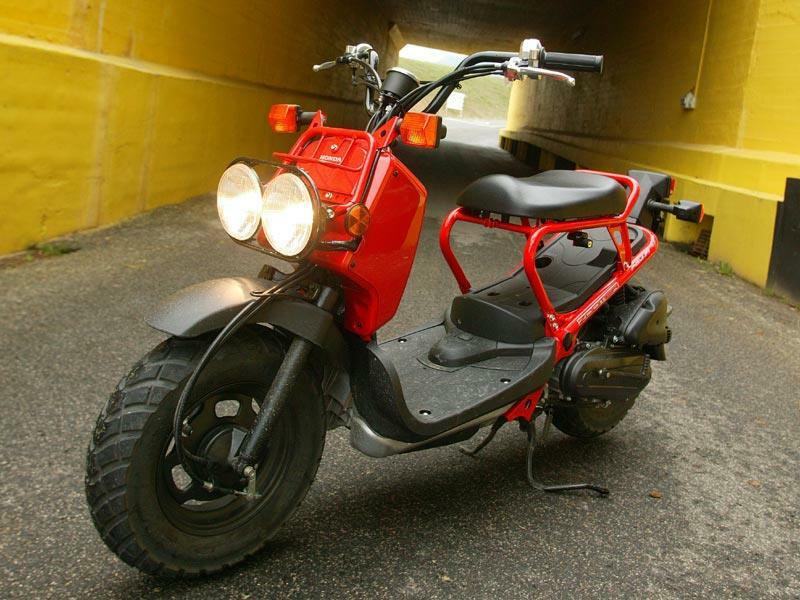 Find a Honda Zoomer for sale. 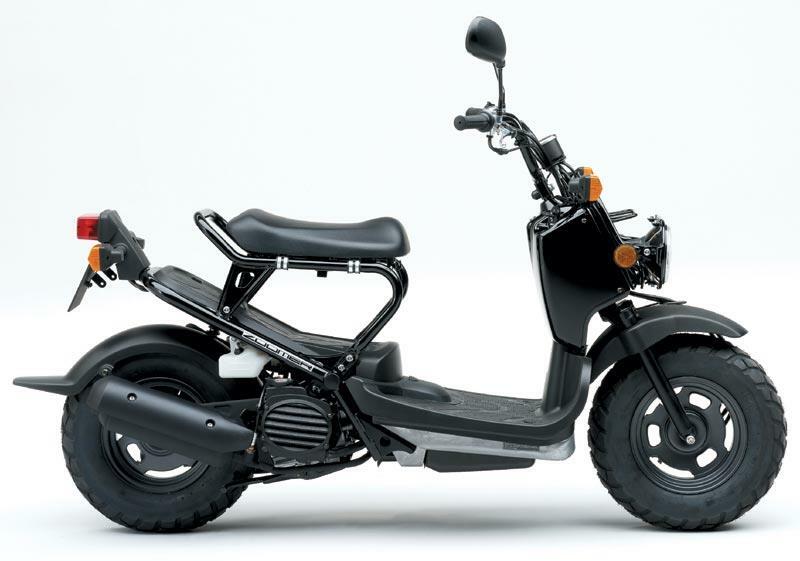 The Zoomer is basic, but you do get a centre-stand, twin headlights, a parking brake and helmet lock. 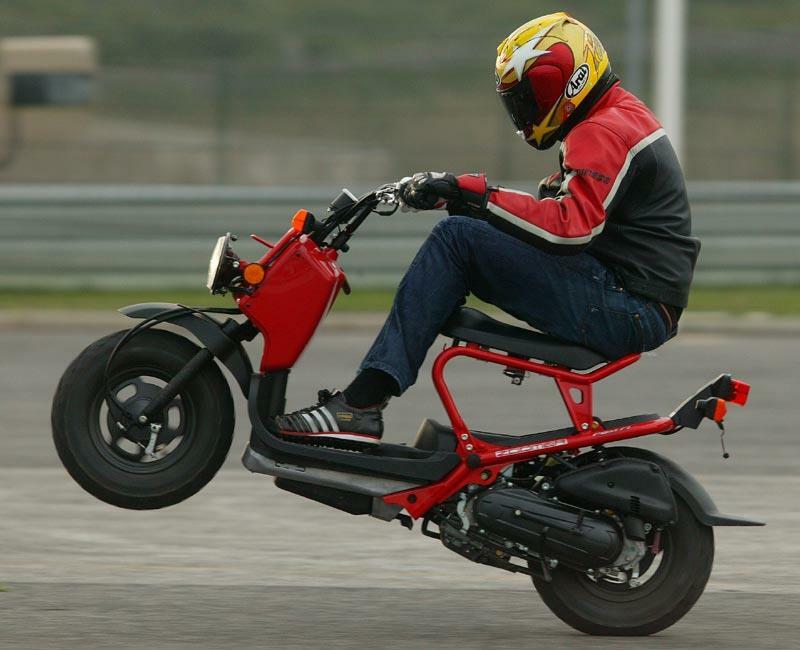 Compare and buy parts for the Zoomer in the MCN Shop. 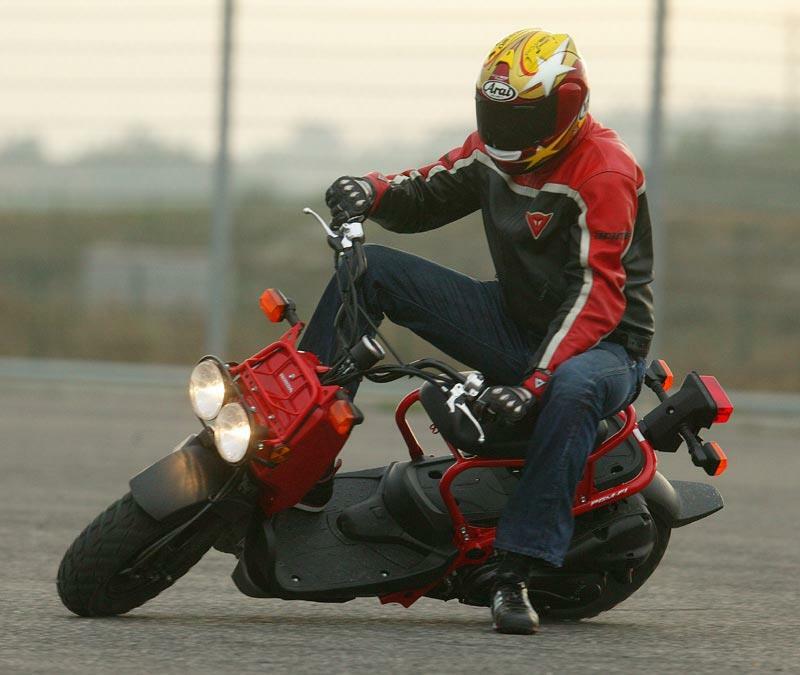 3 owners have reviewed their HONDA ZOOMER 50 (2005-2012) and rated it in a number of areas. Read what they have to say and what they like and dislike about the bike below. One of the worst scooters you can buy. Absolutely terrible. Looks can be subjective but performance is unacceptable, bordering on dangerous. Money best spent elsewhere. 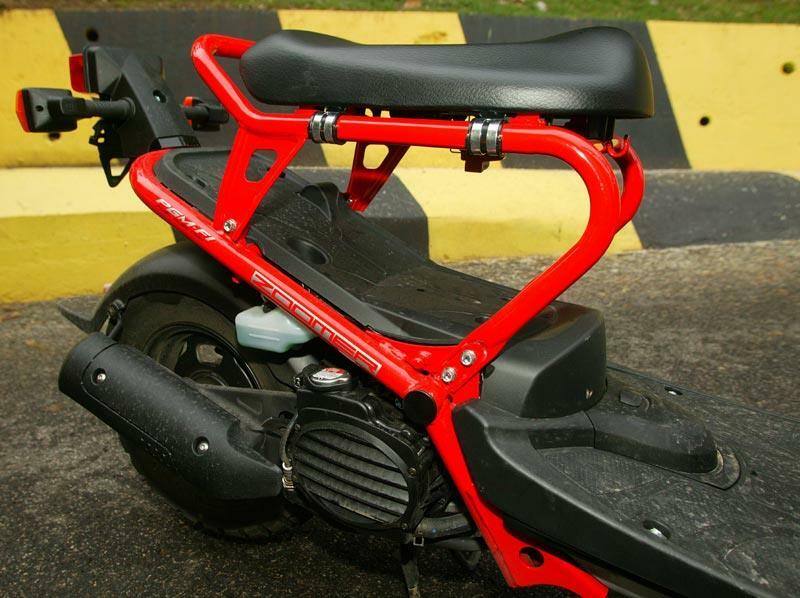 Ride is comfortable enough, but brakes are insufficient even for the scooter's very limited stock power. Stock tyres are OK in the dry, bad in the wet. Extremely quiet and underpowered. Will struggle to reach 40 Km/H in stock trim, with very poor acceleration. Only redeeming factors are fuel economy and reliability. Spot on, as per Honda standards. Will not be stressed much in stock trim thanks to the extremely low performance. One of the Zoomer's few redeeming features. Very cheap to run, but price is high. Basic switchgear, speedometer and underseat storage. Comes with both electric and kick starter. Mediocre stock tyres. Used for a couple of lessons. I had two Zoomers, one from new and the other an ex-demo. Suffice to say, it's the only vehicle (2 wheels or 4) that I ever bought another of the same model. You can ride on a car licence with no L plates, and they're dead reliable BUT also dead slow! They will max out on the flat at a dangerously low 26mph. Buy the Polini variator kit (only about £35), fit in about 30 mins and get your speed up to a much safer 35-40mph. Handling is good in snow / gravel but the supplied Kenda tyres are deadly in the wet! Also the rear suspension is not adjustable and quite soft, so expect to bottom out regularly unless you're a featherweight. Overall, I'd recommend. I wanted a Zoomer as I have an version to Vespas - I wanted something a little different - and the Zoomer is exactly that. Plus I always see Vespas with their seats busted by kids looking to see what's underneath - beauty of the Zoomer is that there's nothing to hide, so there's minimal opportunity for vandalism. Engine is smooth, efficient (100 mpg+), but tops out at 34mph with the restrictor removed (most second hand bikes have had this done, costs c. £150). So it's fine if riding in town / traffic but too slow if travelling real distance. Style is 10/10. Only drawback is suspension and braking - which are fine - but you do feel the bumps and brakes are drums, so you just need to yank them a bit harder. Grip not been a problem and it starts everytime on a frosty morning. Costs me £4.15 to fill up... Great bike. great fun and worth the little premium in price if only to make Vespa riders jealous. Plus they keep their value very well vs other rides. 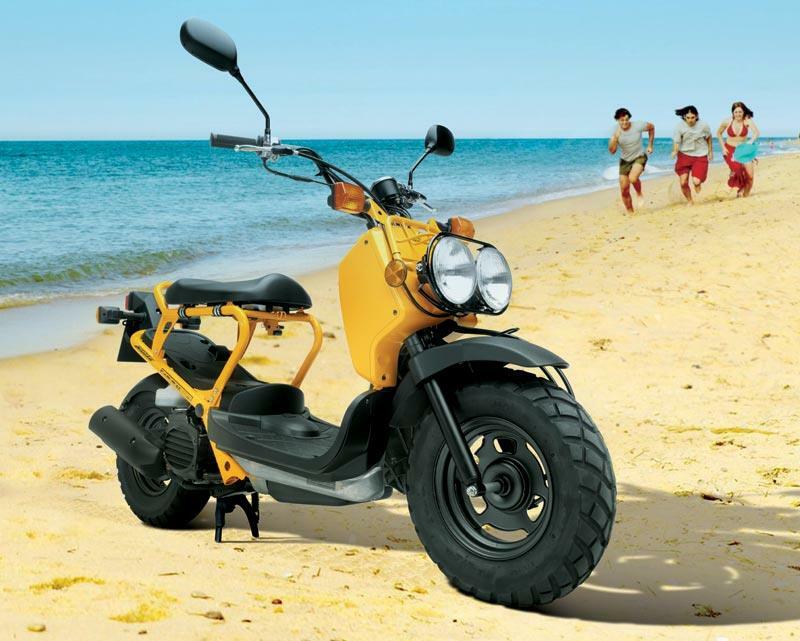 It’s a lively Chinese 125 with some decent touches – like an MP3 player and speakers!